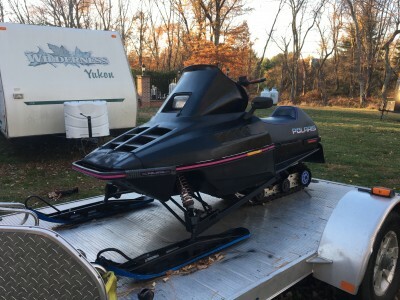 Up for sale is a 2 owner 1995 Polaris Indy XLT 600 triple with reverse! This sled has a totally 900 miles on it! It has reverse and pull start as well as thumb and hand warmers. There recently was a new regulator, master cylinder, and seat/tank/brake light assembly put on the sled. The suspension was just rebuilt including the track bearings. It has the long 12 inches of travel suspension kit in it also. The motor runs stronger than any snowmobile I've ever head. Like I said only 900 miles. The sled does have an issue with the brake. It just stopped hooking up after it sat this summer.